JNTUA MBA/MCA 1st, 2nd Sem Regular & Supply Exam Results Dec/Jan 2018-19, JNTU Anatapur MBA/MCA 1st sem results and MBA/MCA 2nd sem results 2018-19 are available now at jntuaresults.azurewebsites.net. 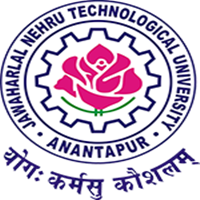 JNTU Anantapur has announced MBA/MCA I & II Sem Regular and Supplementary examinations Results 2018-19 at http://jntuaresults.azurewebsites.net. The results of following MBA and MCA I & II Semester Regular & Supplementary Dec/Jan 2018-19 Examinations are declared. The result sheets are available in the University Examinations Results Portal at http://jntuaresults.azurewebsites.net. Jntuk M Tech results eppudu? when the justice can be done for jntua R13 regulation students ..